One of the advantages of my recently-found liberty is that I no longer have to conform to the ‘in production, in the shops and in a press release’ rules of reviewing: it makes for a much more interesting life as there’s no shortage of companies wanting to bounce new products past me for inclusion on this site. It does tend to mean the house keeps filling up with all manner of plain brown cardboard boxes – I find it hard to say ‘no’, simply because I still get really excited about this stuff even after all these years, and hearing something for the first time outside its development team is always fascinating. Anyway, the latest product to pass halfway across the desk, stop there and get used a lot until ‘someone’ nicks it and carts it off to try, is a little Bluetooth speaker from the Frankenspiel people – an operation I first encountered with its FS-1 USB-powered stereo speakers launched a while back. Frankespiel’s speciality is small, highly energy-efficient speakers using low-power-consumption amplifier technology, able to turn the low power available from USB charging or power into pretty impressive output wattages. It also makes use of full-range balanced mode radiator (BMR) drive-unit technology, not only meaning that the speakers don’t need separate bass and treble drivers, and a crossover to link them, and are also capable of extremely wide dispersion. Anyway, the little Frankenspiel FS-X speaker I’ve been playing with the for past week or two is just as amazing device as were the first products I tried from this brand, if not more so. And that’s coming from someone who’s no fan of the current trend toward hi-fi meaning a smartphone and a little plasticky Bluetooth speakers. The FS-X may be little – a little under 9cm on each side –, but it’s far from plasticky, feeling solid at 400g and well-finished. It’s just about small enough to hold in one hand, and has a metal-mesh grille over the single 6.3cm BMR driver on the front. 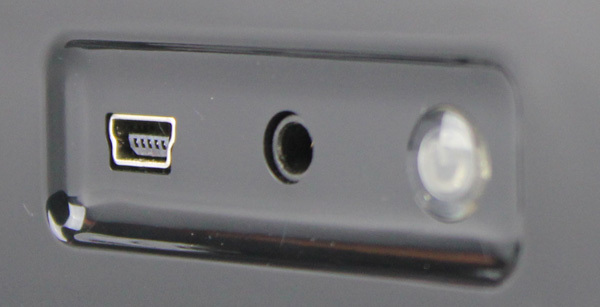 To the rear are USB and line-in sockets, plus a single illuminated button for power on/off and set-up: the speaker can be powered from a computer using the USB connection, or its internal battery charged the same way. And that power-efficiency means the company is able to claim a 30W power output from the amp, and a 50-hour time between one-hour charges. Press the button for a couple of seconds and the FS-X starts up, the light changing colour after about five seconds to show it’s now in standby, and ready for cable or Bluetooth connection. Hold the button again for about 10 sec and the light switches off, followed by a low-frequency double beep, showing it’s ready for Bluetooth pairing. Select the FS-X on your computer, smartphone or tablet, and after about 8 sec there’s be a double high-pitched beep. It’s paired. And that’s how simple the FS-X is to set up and use. Volume is controlled by the volume setting on the connected device – a little high on the Mac mini I was using, even a low settings, but fine with various phones and tablets – and that’s it. The sample I have is pre-production only in that it needs a few operational tweaks: the light sequence isn’t right, as in red currently indicates ‘OK’, and the Bluetooth ID of the unit doesn’t show ‘FS-X’ yet, but the audio side of things is sorted, and very impressive it is, too. 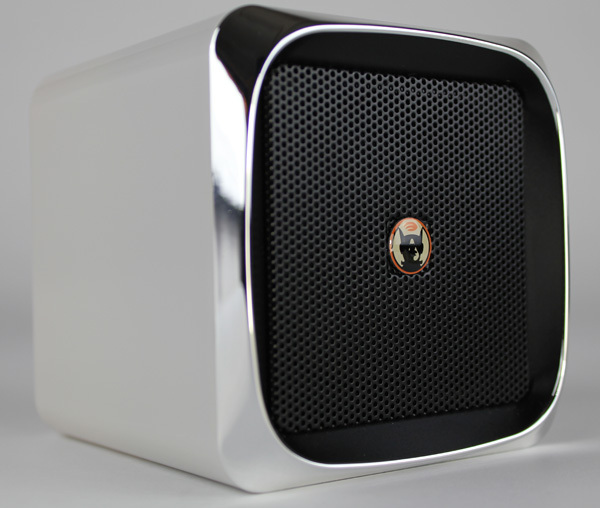 The little box goes more than loud enough for any desktop speaker without sounding at all stressed or on the limit, and while it benefits from some boundary reinforcement (ie being used close to a wall) to make the most of the bass on offer, it has a clean, detailed and smooth sound that’s very easy to enjoy. That boundary reinforcement thing brings the dispersion characteristics into play. If you don’t have a wall nearby, just stand the speaker on its back, with the grille pointed upwards, and you get not just even dispersion all round through 360 degrees, but impressive also weight and body to the sound. In fact, make that remarkable body and weight given the tiny dimensions of this speaker, ensuring it’s more than a rival for quite a few much larger rivals. Music sounds good – yes, it’s in mono, but it’s very listenable, and even when playing Internet radio via the free Radium app on the iPad, what’s really noticeable about the FS-X is its intelligibility. Too many speakers of this kind will have you sticking to background music use, simply because they make listening to speech such hard work, requiring serious concentration. Not the FS-X: speech is so easy to follow that I’d be sorely tempted by the little speaker if only for this purpose – carry it around with a smartphone, and you could listen to your favourite radio from ‘back home’ wherever you were in the world. Except the Frankenspiel people are teasing me with an even smaller travel speaker design they’re working on for the near future, not to mention the idea of using the FS-X as a portable monitoring device for recording and the like. Add in a price I am told will be nearer to £50 than £100, and I reckon there’ll be a lot of people who are going to find this highly accomplished little sound-system with the only slightly dotty brand-name very hard to resist. how is the sound compare to the regular speaker? I’m currently have a soundfreaq sound kick, is this speaker sound better? I think it compares very well with much larger desktop speakers, although I must admit I haven’t tried the model you mention. thanks for your reply and how about the bose soundlink mini? Again not a model I have tested, I’m afraid. how are the high, mid, lows, and bass? Is the sound crisp? Very nice review of the prototype. 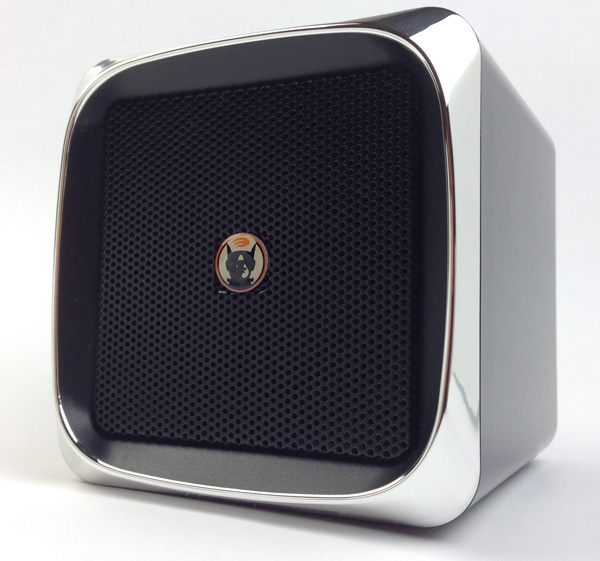 I have backed this speaker on Kickstarter for a pair to use them in true wireless stereo. Which products would you compare the FS-X to. How would it rate against those products. The BMR drivers are being used by other established companies like Cambridge Audio, Revo etc. and have got good reviews. Would also like your opinion on the separation of bass, mids and treble. Is the treble slightly harsh. How much weight is there to the bass. Do you hear kick drums, the bass guitar lower notes etc.